Love your shoes! But I think that you're pants are quite large for you! I just picked up some red pants, too! I wear them with black almost always! Those are some pretty fabulous hot pants! You are adorable! Gorgeous pants! I'm really loving your necklace too. Super cute outfit! love the pants! I absolutely love the pants, the slits are really unique! Love those red pants - how adorable! Love those pants ! They will be perfect for the holidays ! Looking gorgeous as usual! Love red and black together! Love your style! Glad to have found your blog! 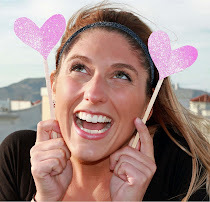 I'll be following you via bloglovin :) Hope you'll do the same! Those pants definitely scream holiday party! I love your necklace and the bow detail on your pumps! Hot Mama! Love the bold red!! Those are a great cut too. I love the necklace as well, always looking so pretty! Hot pants indeed! Totally love that fabric, it's gorgeous! You look beautiful! 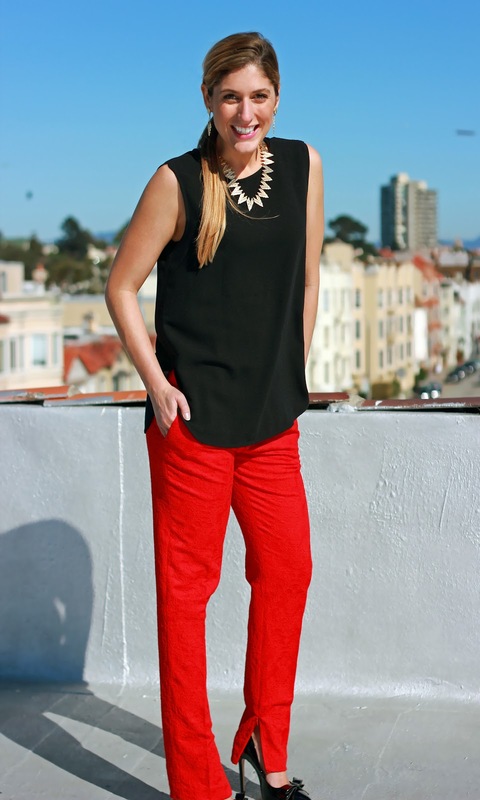 I have shoes very similar to those from Nine West and I LOVE red pants! cute outfit. LOVE the red pants! Those definitely are some hot pants! Love the texture. Those shoes are so fabulous. I love the bow detail. Thanks for visiting my blog. So cute! Love the zips on the pants and the bows on your shoes! Thank you for the sweet comments on our blog! We adore your bow heels! Can't wait to see more of your posts! gorgeous outfit. very minimalistic and sophisticated. thumbs up!! yessss - love these lady! The bottom zips and the fun texture are holiday party perfection! Love these hot red pants, you look amazing girl! omg SO HOT! you are GORGGGGGGG!!!!! smokin in those red pants!!! xO! Looking so fabulous missy ;)! 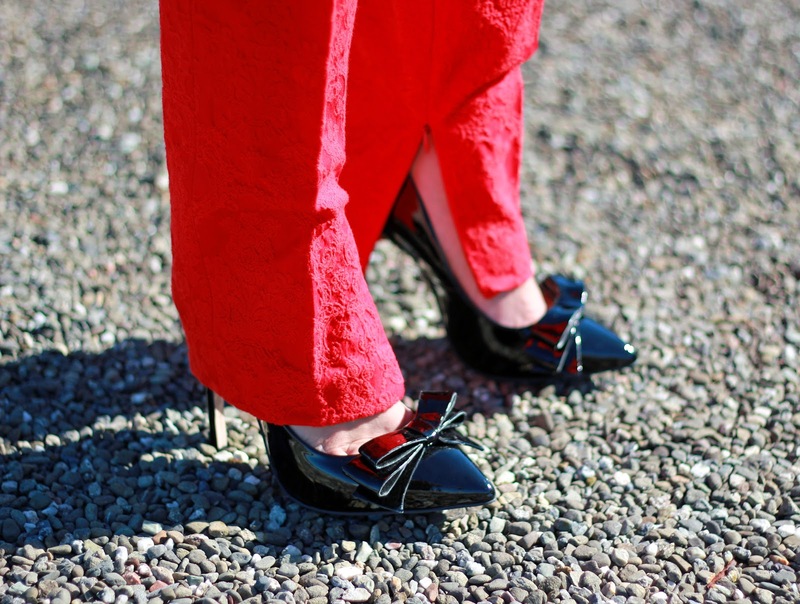 Love your red pants with the bow heels! Great necklace, adorable shoes! Thanks for stopping by my blog! gorgeous, the lace is beautiful! Those red pants are RED HOT! And I love those cute bow heels - you look so fab I can't even stand it! I love the zippers on the pant legs! I have a pair from Zara and I love them for that reason! HOTNESS to the highest power Darby!!!! THOSE pants are totally TDF!!!!!!! I have those same heels in blue! Also, are those the same pants you linked to? If so did you just buy a size larger? I love how they look on you but not so much on the model. Hot hot hot!!! Perfect blog title for this outfit! You look gorgeous! Great outfit! I love black and red. Thanks so much for stopping by my blog! I'm following you now too! You look lovely as always. Loving your outfit. These pants are fantastic; they take a classic color combo and add a little extra with the lace. Love it! Pretty look! I just love those fantastic red pants! The zipper detail on the bottoms make them even better! gorgeous look! i love everything - thank you so much for visiting my blog - following you now too! Hi! We just foud your blog and love your style!!! Wanna follow each other? Such a stylish outfit! You are looking so gorgeous in those hot red pants. Those shoes are fabulous. great outfit, you look so happy its a joy lookin your blog!